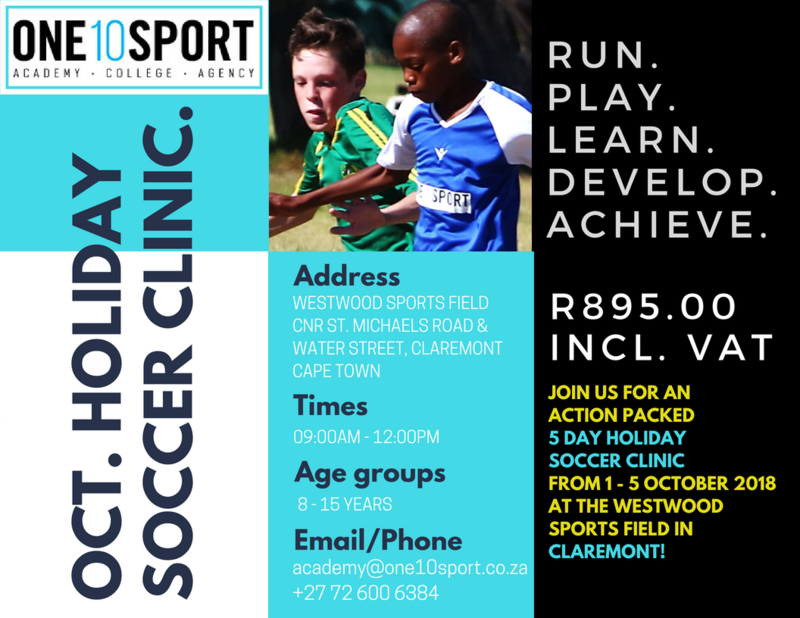 Registration is open for our October Holiday Soccer Clinic, taking place from 1 – 5 October 2018 at the Westwood Fields in Water Street, Claremont. The clinic will be hosted by our UEFA accredited head coaches (Justin Behrens and Marinus de Villiers) and we look forward to welcoming all players of all skill levels to enjoy a week on the football pitch with us. To register, kindly send your enquiry to academy@one10sport.co.za and we’ll assist you with the quick and easy sign-up.